The camera had difficulty capturing the whole name. My colleagues and I are travelling to Shenzhen by bus as it stands at around 145 km south-east of Guangzhou. 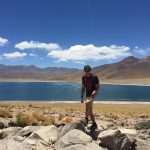 The trip takes around 3 hours, but you could easily lose track of time and orientation as there is hardly a place between the two cities where there aren’t any buildings. 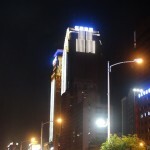 That is why Shenzhen City has been made part of the world’s largest agglomeration – Guangzhou – which boasts a staggering population of nearly 50 million people. Thanks to Deng Xiaoping’s opening of China to the world in 1978, the area became the first of China’s first Special Economic Zones (which now covers the whole city), due to its close location to Hong Kong, the then flourishing British colony. 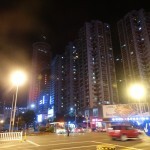 Thus, from a meagre fishing village at the time, Shenzhen is now one of the Pearl River megacities and has the highest population density across China with more than 5,000 inhabitants per km2. 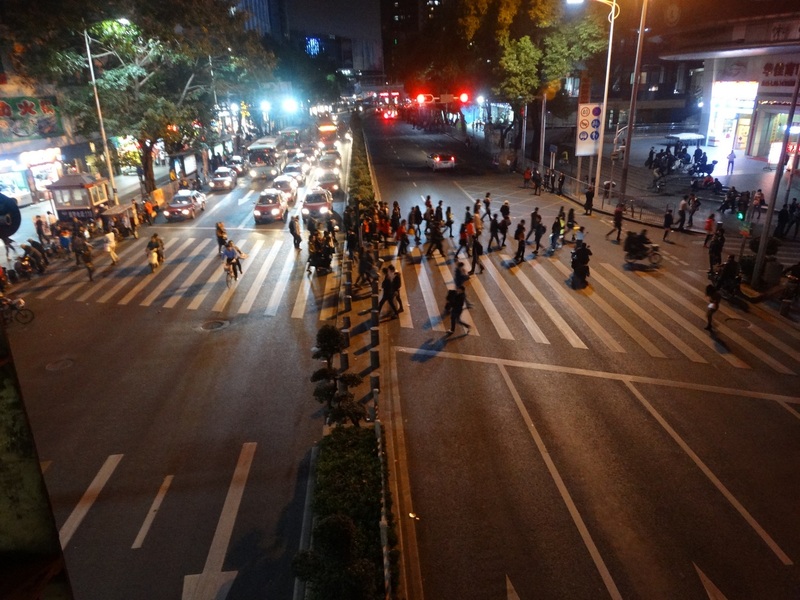 Nowadays, Shenzhen (深圳), which literally means “deep drains”, because there used to be many creeks, streams, and rivers with deep drains within paddy fields, is a booming metropolis and is home to more than 10 million people. Standing just opposite the Special Administrative Region of Hong Kong, it is home to the Shenzhen Stock Exchange and is the third busiest container port in the world (second in China after that of Shanghai). Due to the high amassment of Chinese tech companies, like Huawei, ZTE, as well foreign IT companies – Foxconn, Apple – it is known as the “Silicon Valley” of China. It is highly probable that the computer, laptop, tablet or any other mobile electronic device you are now using to read this article has been manufactured in Shenzhen. Its one-of-a-kind status and location make it a great place for local and foreign start-ups – Petcube, OnePlus, Makeblock – and hardware start-up accelerators – HAX Accelerator. Close to the Shenzhen Bao’an International Airport are the two industrial zones – Shenzhen Software Park is incorporated with Shenzhen Hi-Tech Industry Park. 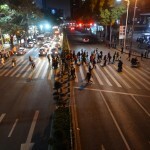 This was the result of an effort of the local municipal government to support the development of the software industry. 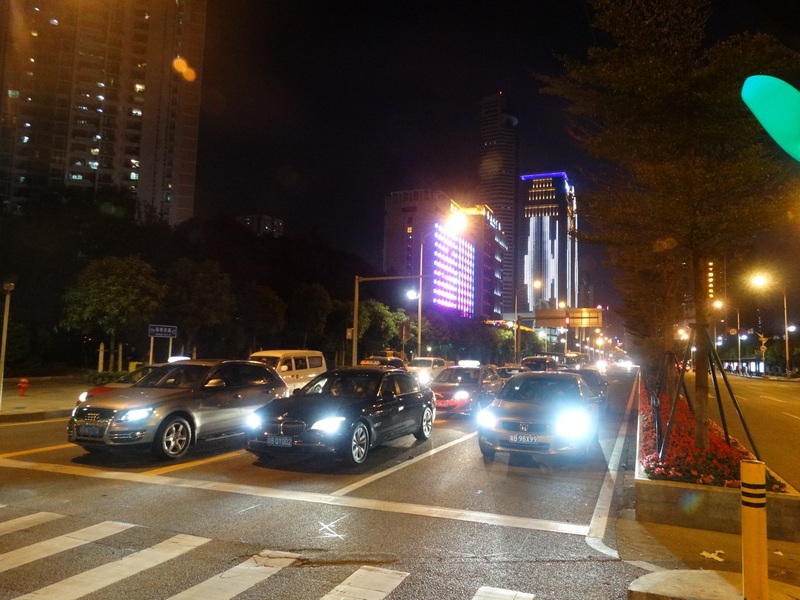 We arrive in Shenzhen around 19:00 and audaciously d(r)ive into a sea of cars. 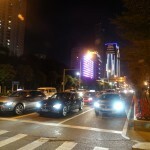 Although Shenzhen is a pride owner of 5 subway lines (7 are under construction), traffic jams are a frequent occurrence. Soon my colleagues, who communicate with the Chinese drive since my Mandarin vocabulary is only enough to order steamed rice and congratulate a lady on her beautiful looks, realise that he does not know where the hotel is. With regular stopping and, mostly, the kind help of passers-by, we finally arrive at the desired place which overlooks one of the main boulevards of the city. There, we immediately engage in conversations with the participant-buyers in the Fair, who are also staying at the same hotel, and give them instructions on how the next two days are going to be organised. Everyone seems excited to attend the exhibition, so we head to bed to recharge our batteries. The next day welcomes us with a sunny smile and warm temperatures. Since the Shenzhen Fair Complex, where the Fair is going to take place, is quite close, we have arranged the bus to pick everybody up at 09:30 because the event starts at 10:00. This turns out be a bad idea because the traffic is hectic and we arrive with a considerable delay. 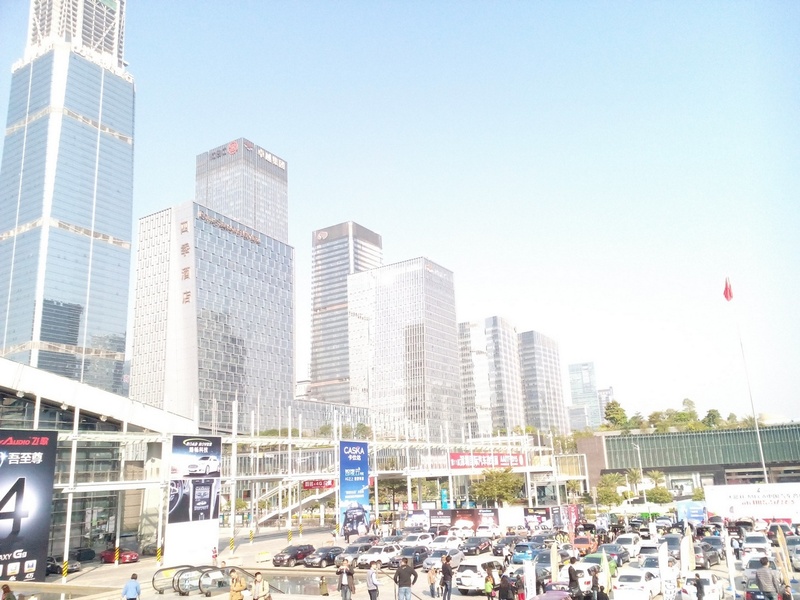 The square in front of the Fair Complex with Shenzhen’s skyline in the background. 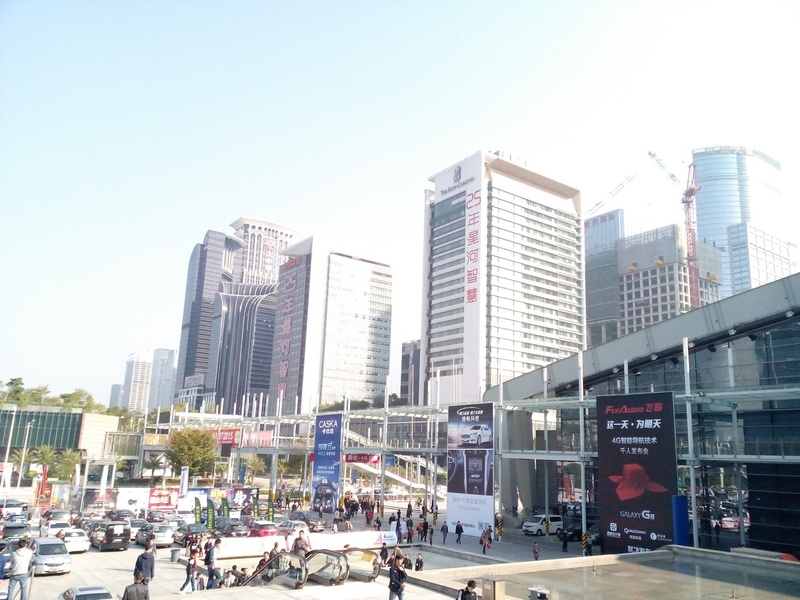 The square in front of the Exhibition Halls is teeming with people (mainly Chinese, but also many foreigners) which makes our getting inside even more challenging. We then separate, with the promise to meet at 17:00 at the same place, and start exploring the 12 gigantic halls. 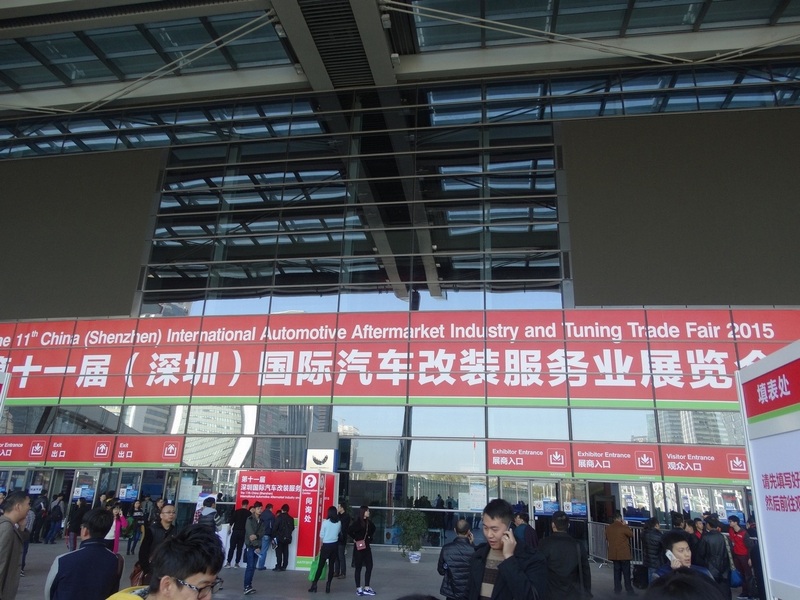 I have never set foot in such an enormous exhibition complex – it is larger than many airports I have been to. After the busy day of walking around the Fair, my colleagues and I instruct the customers for the next day and it is time for some leisure. Owing to the fact that I was there on a business trip just for 3 days, the only time I could explore the city and absorb its energy was at night. My colleagues are busy preparing something in Chinese for which I can’t be too helpful, so I go around on my own. Having someone local with you is almost always better, but promenading alone also has its advantages. For instance, I may determine my own city-strolling pace, take as many photos of the magnificent skyline as I wish, or curiously observe dancing ladies at 10 pm on a small square. 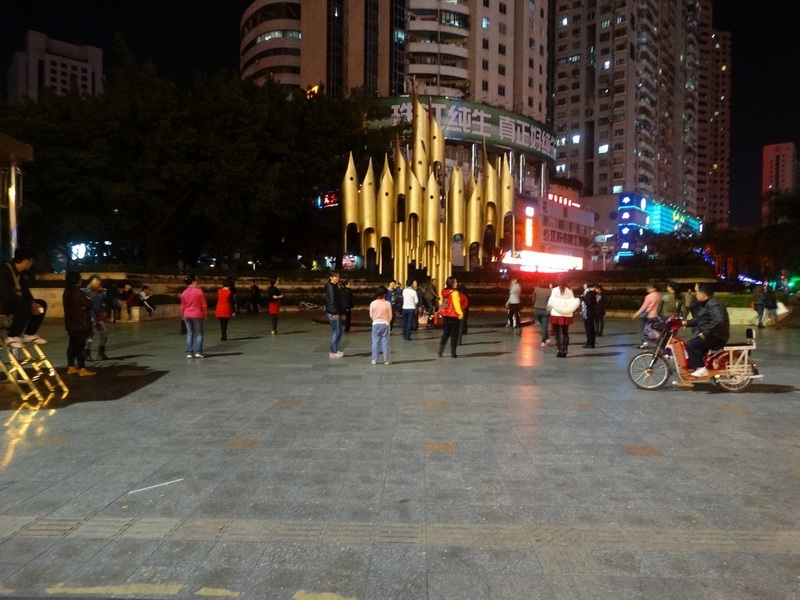 Dancing ladies in downtown Shenzhen. 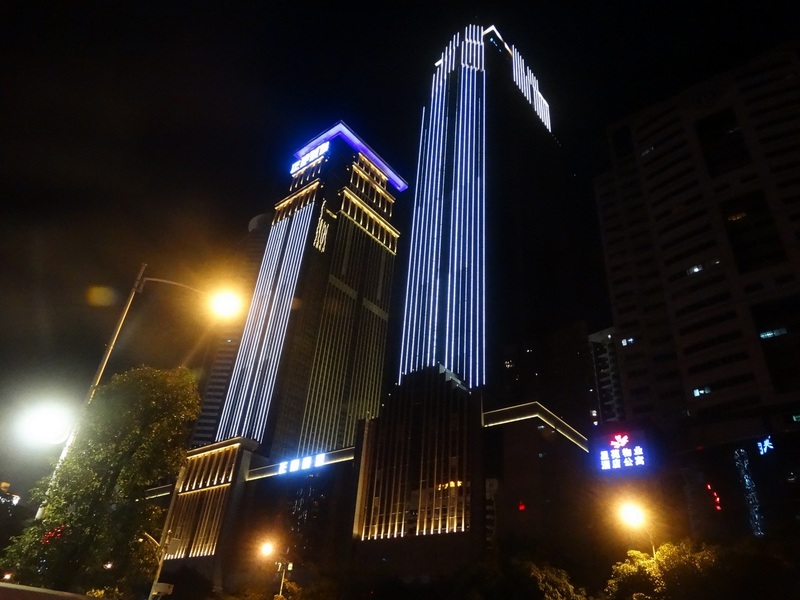 In the last decade of the 20th century, the city was described as building “One high-rise a day and one boulevard every three days.” Currently, Shenzhen has 89 buildings that are more than 200 m (656 ft) tall. Here are some of my best shots of what I was able to see for two short night walks. 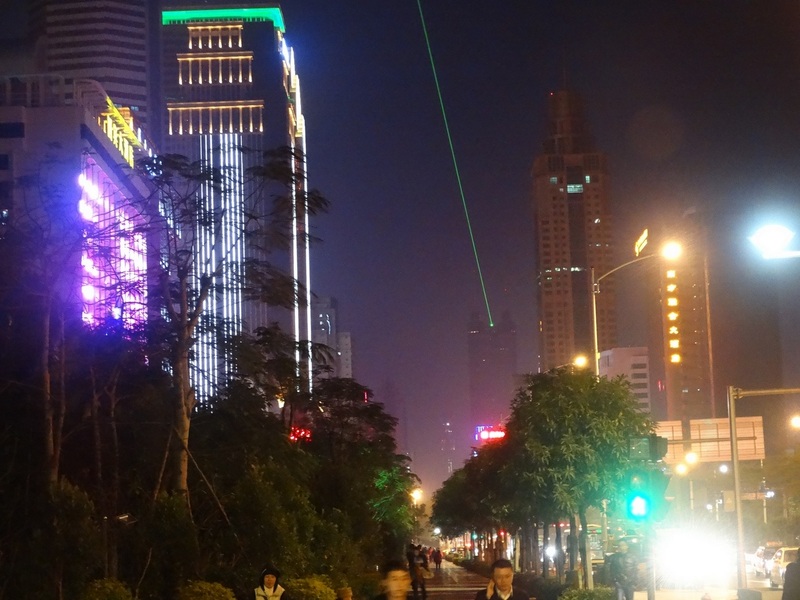 China’s astonishing growth began more than 3 decades ago when Shenzhen was established as the first “Special Economic Zone” attributable to its proximity to Hong Kong. The staggering transformation of a farming village into a 10-million city, thanks to “a bust of entrepreneurial zeal”, has led it to turn into one of the biggest Pearl River Delta megacities and probably the largest industrial base in the world. But that does come at a cost of, at least occasional, smog. 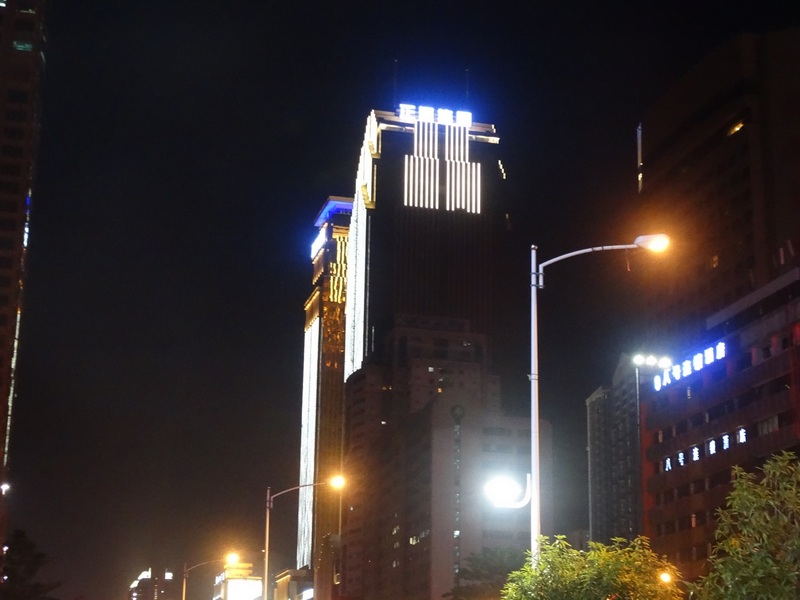 Have you been to the Silicon Valley of China? What was your impression? 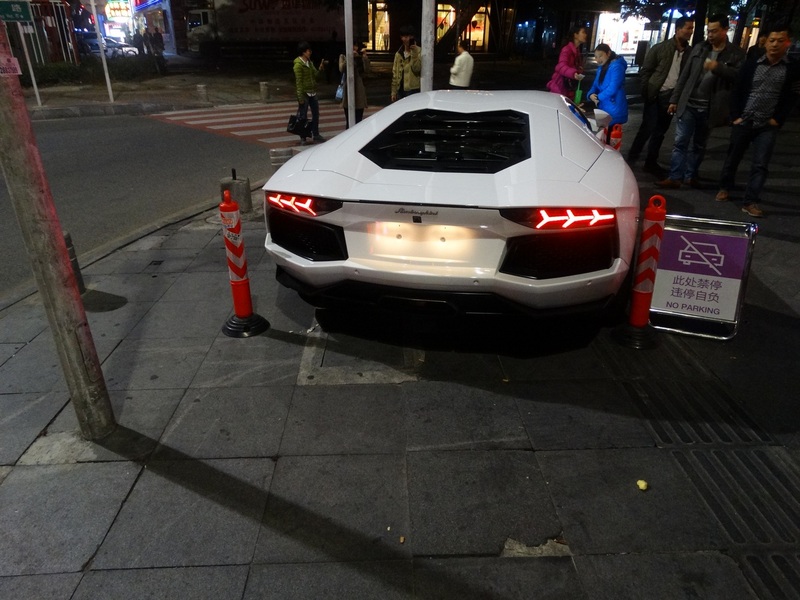 Great post – have always wanted to visit China. Thanks, it is worth visiting! It’s crazy how a place like this has become an absolute juggernaut of its field. Very different to many of the images I have of China in my head but this is the new China I guess. Very interesting, in many ways it reminds me of a modern day Manchester. Great article and you have some great pictures there!! 🙂 Would love to go to China one day! Thanks! Go for it, you will love it! China is a fascinating place to visit. 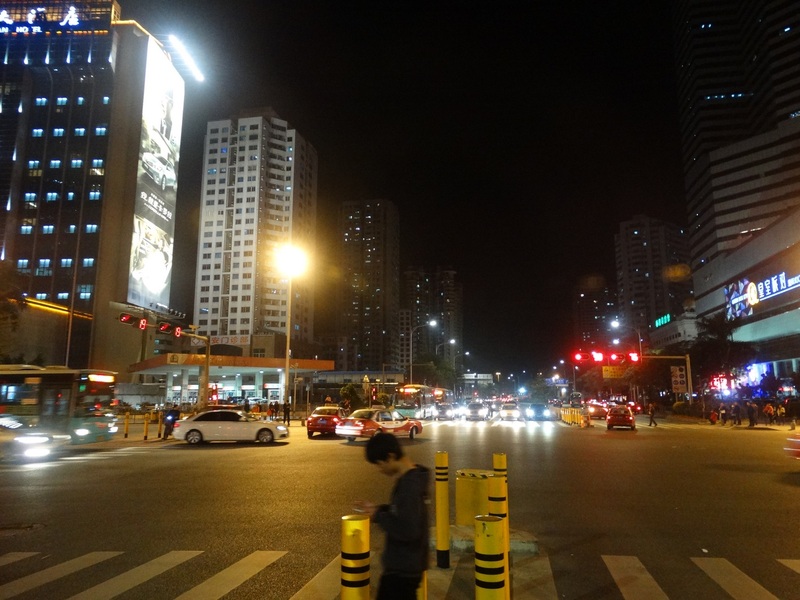 I was lucky enough to visit Shanghai and Beijing a few years back and was quite surprised at what I saw, I guess my expectations were not in line with how modern day China has developed so much. Now Im living in India, I do see some similarities, especially with the long names and insanely busy streets. Great post! Sue, that is absolutely true. China is so surprising a country! Glad that you enjoyed it! It is only now that I learned the meaning behind the word Shenzhen so thanks for the information. I always hear about this place from friends who have been there. 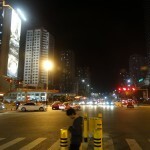 The huge scale of Chinese cities is always incomprehensible to me ! It’s absolutely fascinating as a country! Yesterday I was browsing through my photos from China and I thought that I am absolutely missing my time there, though I had some bad moments. 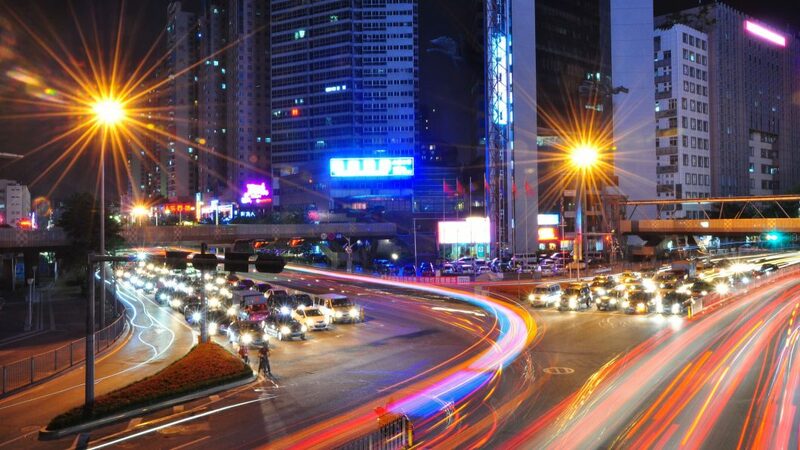 Shenzhen is one of the fasted growing modern city which will drive future of global tech. Good to know abt this place. I specially admire china for developing such cities from scratch in no time. Indeed it is! I am also amazed by the Chinese efforts to turn villages into a megalopolises in a matter of several years! I love being sent places for work, especially when you get a bit of extra time to explore! It sure is crowded, like many other places in China 🙂 You are welcome for the pic! I am pretty happy with the city name, who in the world would ever go to a place called “deep drains”! And you are so right about having a local with you makes life easier but hey there is nothing like stumbling around on your own to find those little gems. Having a local could save you a lot of time and money, but I agree that stumbling upon random gems is also priceless! Today we learned that the Chinese government doesn’t have an effective way of measuring growth, and that it is better to gage growth by looking at sector-specific expansion, like housing/car sales, bank deposits, etc. According to this method, growth is around 4.1% – widely different from reported figures. Well, for a gargantuan economy, such as the Chinese, 4.1% is still a remarkable figure. I never heard about Chinese Silicon Valley and I usually don’t like such modern glass places to be honest! What I prefer is old architecture! Well, there are tons of places in China that have great architecture and myriads of historic sights. Shenzhen, unfortunately, is not one of them. Awesome post! I havn’t visited China but always have been fascinated with it. Thank you, Anita! China is fascinating all the way! 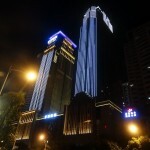 I was in Shenzen years ago, but only for a quick stop while travelling from Hong King to Guilin. I remember the massive roads, the crowds and the skyscrapers and I have to be honest: I’m not a fan! 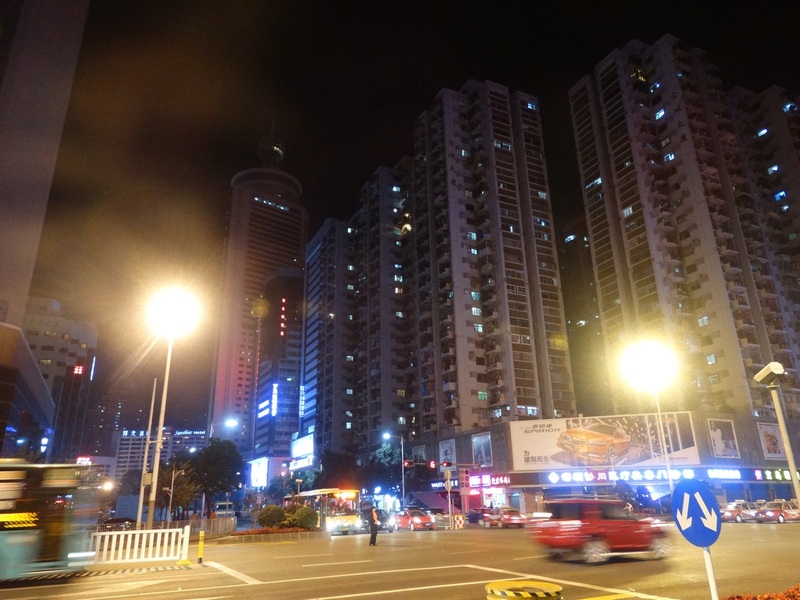 I found it interesting, in terms of how an economy growing as fast as Chinese looks like, but all the concrete and the smog left me disheartened about any hope of an environmentally sustainable future. I don’t want to be unfair and I do understand that if I had a local to explain things to me, or more time, I would have probably felt differently, but it left me ill at ease. 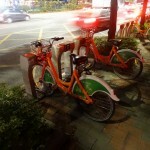 I know China is doing a lot now to be greener so I do hope i can go back one day and be left with a different feeling. You say “there is hardly a place between the two cities where there aren’t any buildings.” I have experienced the same in Indonesia as well as other countries, and it put me off a lot. I felt like I never got out of Jakarta, as everywhere I looked there were buildings, people and traffic. Hahaha. 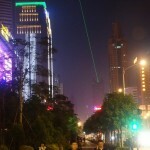 So don’t let Shenzhen sneeze! And I thought Metro Manila where I grew up was big at 18 million or Mexico City which we just visited at about 20. 50 M people. Wow. I wonder how it is to live there! Shenzhen sounds like a buzy town. Sounds like you had a great trip! I was surprised that considering how many building there were that there wasn’t that much smog. Looks way better than other major cities in China! It is indeed better in some way. They manufacture mostly electronics. Probably that is not so burdensome to the air as is car or chemical production, for instance. How lucky you are to have a job that takes you to such interesting places. I love that you went out walking on your own to test yourself and experience more of the city. It’s mind-boggling how quickly the Chinese are building such massive cities. Yeah, I love that part of the job! And walking on your own could be quite amusing. When I take photos, I prefer it as I can take all the time I need. 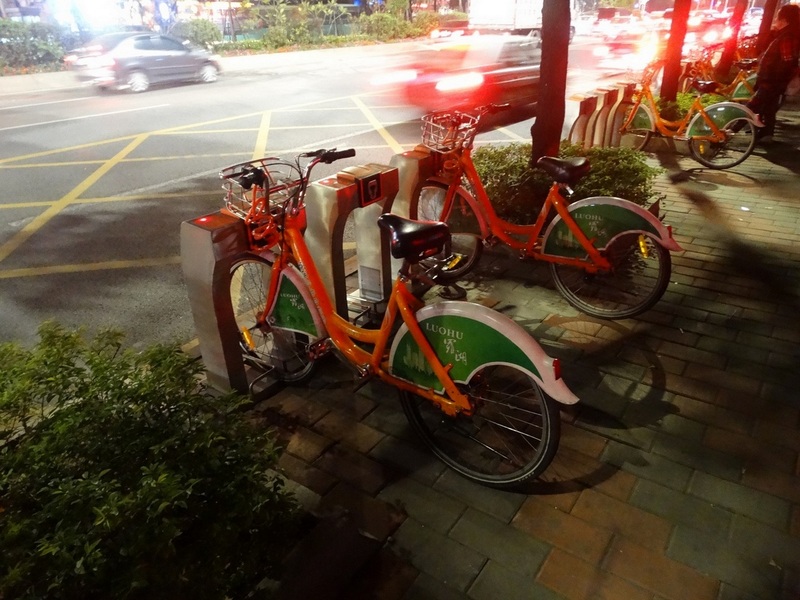 The Chinese pace of city evolution is flabbergasting, but it also comes with a high cost. It’s amazing how a place can become such a hub of activity and a leader in its field. Shame you couldn’t explore during the day but you got some great night shots! Oh, and I hope Shenzhen doesn’t sneeze – my electronics can be temperamental enough without getting a cold! Haha, I know, let’s keep our fingers crossed for Shenzhen’s health! 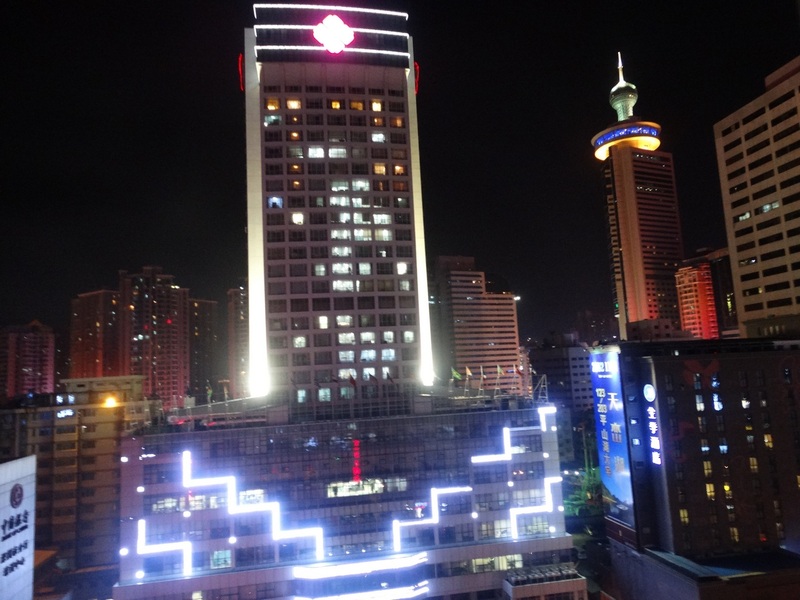 Really interesting Svet – I actually hadn’t heard of Shenzhen before, so I’ve learned something new. Amazing to see how a village can turn into one of the biggest centers in the world like this! And I’m glad you got some time to go out and explore, even if it was only at night, It’s tricky on business trips to get some sightseeing in, especially after a long day, but ultimately need to take advantage of the opportunity while we’re there! Yep, Chinese cities have a tendency to turn into mind-boggling metropolises in a matter of a couple of decades. I am very happy I showed you, and seems almost everybody else, this powerhouse. That was my intention initially. Yes, I couldn’t miss the chance to go out and explore it, because I did not know when I am going to visit it again. There is so much more to see there. Shenzhen looks like quite a place! It looks amazing at night, there’s something about a city at night when it’s all lit up ☺ The ladies dancing in the square reminds me of my time in NYC when the group I was with were dancing in Time Square and trying to teach an Indian couple Irish dancing. Not sure why, but this has never been very high on my list as a place to visit. Sounds like I need to rethink.